Conventions offer Friday The 13th stars for meet and greets for fans of the films on an annual basis, which is a lot of fun to get to know the people that helped make these iconic films. There are also opportunities to meet these stars on a more intimate basis and Misty Moon Exhibitions and Events occasionally put on a show with individual Friday The 13th alumni, most recently with Adrienne King last year. Misty Moon teased a new appearance for an upcoming show on their Twitter feed a few days ago with the image posted below. 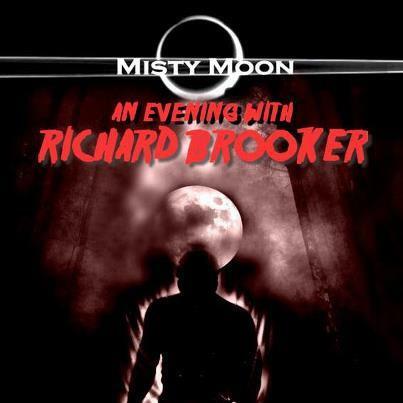 It looks like Richard Brooker (Jason Voorhees, Friday The 13th Part 3) is on his way to London this year! When more information is released, we will let all of our readers know the details! In 2010, Misty Moon became involved with the Tank Gallery and the Ladywell Tavern in Lewisham, where we have held critically acclaimed themed exhibitions featuring local artists from Beckenham, Forest Hill, Brockley and South East London, as well as International Artists from Turkey, Poland and America. We have also been proud to be the first to exhibit work by American artist and actress, Adrienne King star of the original Friday the 13th and Friday the 13th Part 2.